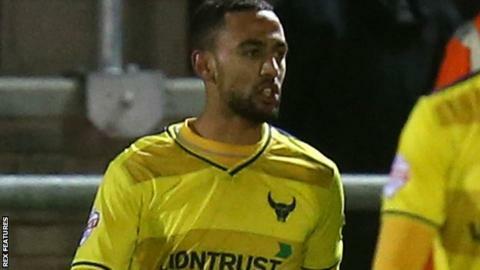 Oxford United have received no formal approach for Kemar Roofe, according to chief executive Mark Ashton. The 22-year-old midfielder, who has been linked with Newcastle United, has scored 11 goals this term including the winner at Dagenham on Saturday. "Nobody has called directly on Kemar Roofe or about any of our players" Ashton told BBC Radio Oxford. "There's lots of chatter in the background from agents, but that's what the industry is like." Ashton admitted the profile of Michael Appleton's side, who moved to within two points of League Two leaders Plymouth on Saturday, has increased the number of scouts at home matches. "Over the last six-to-nine months, the type of clubs attending has changed dramatically," he added. "But, myself, chairman Darryl Eales and Michael Appleton are under no pressure to sell players. "We want to keep this squad together and our key focus is to get us out of this division."